Want more stories on economic policy in Trump's Washington? Sign up here. If Larry Kudlow hopes to contain President Trump, he’ll first need to contain himself. Hours after news broke Wednesday that Kudlow would be joining the administration as Trump’s next top economic adviser, the chalk-striped CNBC grandee took to his soon-to-be-former network to offer his views on everything from the strength of the dollar to scrapping the filibuster. For a cable news regular, which Kudlow has been for a quarter-century, there was nothing unusual about the appearance. 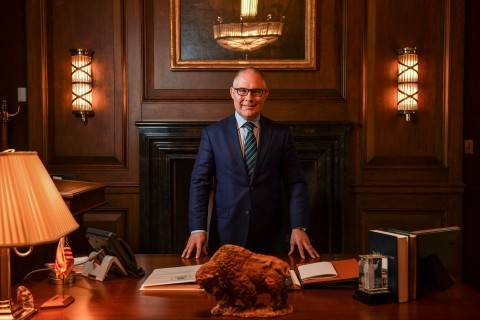 But it was a remarkable debut for an incoming National Economic Council director, a post that will require Kudlow to toe the Trump team’s line rather than making policy extemporaneously. 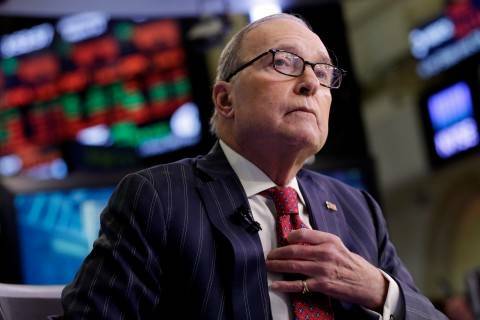 Kudlow, still in pundit mode, made comments that could generate headlines and potentially move markets if he delivered them from the West Wing. Among them: He would like to see the dollar “a wee bit stronger” than it is now; he wants to make permanent the tax law’s write-off for business investments that expire after five years; and he thinks Detroit automakers “should go south” to take advantage of lower tax rates and right-to-work laws. In particular, Kudlow said, the United States should marshal its focus against Chinese trading abuses — and as it happens, the administration is preparing to do so. “When things reach such an extreme point as they have with China … that’s got to change, and if Mr. Trump carries that forward, I cannot criticize that. All my free-trade friends can’t criticize that,” he said. But Kudlow said the administration should seek to box in China through coordination with other countries, an approach that Trump so far looks unlikely to adopt. “A thought I have is that the United States could lead a coalition of large trading partners and allies against China, or to let China know that they are breaking the rules left and right … You can call it a trade coalition of the willing." Elsewhere in the CNBC interview, Kudlow signaled he understands the dimensions of the job he’s accepted and is ready to switch gears from pundit to staffer. “I’m a good bureaucrat, always have been,” said Kudlow, who served as an economist at the Office of Management and Budget during the Reagan administration. 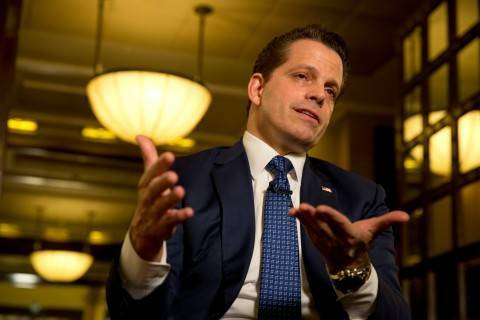 But the TV personality won’t be giving up his outsize platform, either — a fact that ultimately could irk a president who does not like sharing the spotlight. Given the bipartisan support for the bill, Wednesday’s passage was expected. But for the first time since Trump became president, the divisions lurking within the Senate Democratic Caucus burst into full view, with Sens. Elizabeth Warren (Mass.) and Sherrod Brown (Ohio) leading vehement opposition to the bill, even as supporters — including Democrats up for reelection in states Trump won — supported it with equal vigor." House hurdles remain. NYT's Alan Rappeport: "The legislation faces an uncertain fate going forward, as House Republicans are expected to push for a much more expansive rollback of the... Dodd-Frank Act. Senate Democrats who voted for the bill that passed on Wednesday have insisted that major changes along the lines of what the House passed last year will sink the effort but expressed hope that the legislation could herald a return to the kind of cooperation that has recently eluded Congress... 'If the House overreaches in its effort to amend the Crapo bill, it could slow down the bill’s progress,' said Brian Gardner, an analyst at the financial services firm Keefe, Bruyette & Woods." From Capital Alpha's Ian Katz: "We’ve heard some skepticism that the delicate Senate coalition will agree to a conference, at least quickly. That means investors might have to endure two or three months of anxiety as the House and Senate either negotiate or play a game of chicken... We maintain our two-thirds odds of the bill becoming law, with passage most likely before the end of June. The House doesn’t want to ruin the best shot it has for getting some Dodd-Frank fixes, and many Republicans want something to show their constituents as they run for re-election. Hensarling may be able to negotiate and bob and weave for a while, but he doesn’t have a lot of leverage unless he’s willing to walk away from the whole thing. And doing that wouldn’t make sense for House Republicans." Weakens anti-discrimination rules. The Post's Tracy Jan: "The bill rolls back banking rules passed after the 2008 financial crisis, including a little-known part of the Dodd-Frank Act that required banks and credit unions to report more detailed lending data so abuses could be spotted. The bipartisan plan... would exempt 85 percent of banks and credit unions from the new requirement, according to a Consumer Financial Protection Bureau analysis of 2013 data." Meanwhile banks are thriving. Politico's Victoria Guida: "Banks have hauled in record profits for the last three years and will be among the biggest winners under the new tax-reform law. Their loans are growing by 4 to 5 percent a year, well within historical norms. And even community banks, which the bill’s backers say they’re most concerned about, are making money." Elizabeth Warren fundraises. In an email with the subject line, "We lost," the Massachusets senator had this to say about the vote: "It may be what everyone expected – but it’s still infuriating... We may have lost today – but that does not mean we’re getting out of the ring. We’re building a bigger, stronger grassroots team that will fight back against Wall Street, the big banks, and powerful corporate interests that plan on using their win today as momentum to beat us in November." 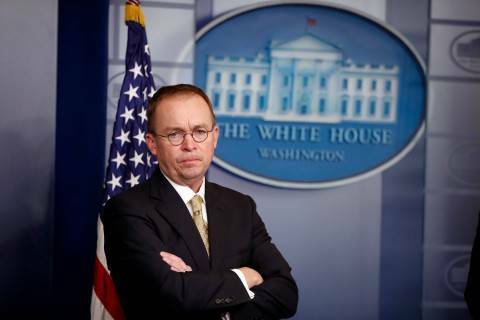 A bipartisan group of House members on Wednesday released a bill that would replace the director of the controversial Consumer Financial Protection Bureau with a five-person commission. 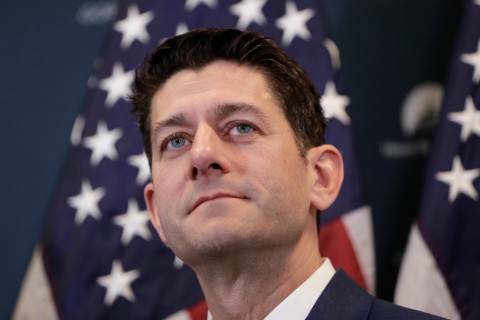 House Speaker Paul Ryan and other Republican leaders want to wrap up talks on a $1.2 trillion government spending bill Wednesday but the measure is far from complete. Trump launched a blistering attack against major U.S. allies and global economies, accusing the European Union, China, Japan and South Korea of ripping off the United States for decades and pillaging the American workforce. He also described the North American Free Trade Agreement as a disaster and heaped blame on the World Trade Organization for allowing other countries to box the United States in on trade." Few exclusions for companies. WSJ's William Mauldin: "U.S. businesses seeking to avoid tariffs on imported supplies that incorporate steel and aluminum will face high hurdles under rules being developed by the Commerce Department, which is signaling it will grant exclusions only sparingly and based on national-security concerns. Commerce Department officials are preparing to release, either at the end of this week or early next week, a detailed blueprint for industry groups seeking exclusions, according to people familiar with the plans." House GOP eyes limits. Bloomberg's Anna Edgerton: "House Republicans are preparing a measure that would curtail [Trump’s] authority to make unilateral trade decisions after his decision to impose steel and aluminum tariffs. Representative Warren Davidson, an Ohio Republican, said Wednesday he has about 10 cosponsors for a House bill he plans to introduce that mirrors a Senate measure introduced by Senator Mike Lee, a Utah Republican. It would require the president to seek a resolution of approval from Congress before imposing tariffs and duties, Davidson said." There's little chance this goes anywhere, as Senate Majority Leader Mitch McConnell (R-Ky.) acknowledged last week. "It is a bow to political realities, including the difficulty of assembling veto-proof majorities to defy a president popular with core GOP voters Republicans need for November’s midterms," The Post's Erica Werner, Seung Min Kim and Josh Dawsey write. "Alarmingly for some in the GOP, there are signs Trump is beginning to remake the Republican Party in his image, pushing voters and some lawmakers away from the party’s long-held support for free trade and toward the protectionist philosophy favored by the president himself." Business groups strategize. Bloomberg's Naomi Nix: "Lobbying groups representing some of the largest companies in the country are exploring strategies to prevent... Trump from imposing new tariffs on Chinese imports. The National Retail Federation hosted a meeting on Wednesday with representatives from trade groups including the Information Technology Industry Council, the Retail Industry Leaders Association, Footwear Distributors and Retailers of America and the Consumer Technology Association to discuss how they might respond to potential tariffs... It was not clear how closely the trade groups would be working together. French said that 'all options are on the table,' but indicated that some business groups may choose to send letters expressing their discontent with the tariffs." — Trump's "Phase 2" tax cuts. NYT's Peter Baker and Jim Tankersley: "Amid all the turmoil and uncertainty, with his White House seemingly fraying, his legislative agenda stalled and his electoral base in danger, ... Trump these days finds one area of comfort: talking about his tax cuts. He finds it so reassuring, in fact, that he is increasingly talking about doing it all over again.... 'We’re now going for a Phase 2,' he told a selected group of supporters at a Boeing factory in St. Louis. He did not describe what would be in such a Phase 2 but said he would team up with Representative Kevin Brady, Republican of Texas and chairman of the House Ways and Means Committee.... Mr. Brady said earlier in the day that he hoped to pass another tax-cutting bill by the end of the year. 'We’re really encouraged,' he said on Fox Business Network... If Mr. Trump had a plan in mind, it was a mystery to many of his aides, who knew nothing about it. What Mr. Trump and Mr. Brady might be talking about, however, could be more of a branding exercise than a major legislative effort that stands any chance of becoming law this year." A half-dozen senior officials are now mired in federal investigations over high-end travel and extravagant expenses. — Stocks drop on trade war fears. CNBC's Fred Imbert and co.: "The Dow Jones industrial average fell Wednesday as Boeing shares pulled back on worries the U.S. could engage China in a trade war. The 30-stock index lost 248.91 points at 24,758.12 after opening up more than 100 points. Boeing dropped 2.5 percent, contributing the most to the Dow's decline. The Dow fell as much as 338 points earlier in the session. Boeing's decline comes after a report said... Trump wishes to slap $60 billion of tariffs on Chinese goods. Investors feared China could target the aerospace giant in retaliation. The S&P 500 closed 0.6 percent lower at 2,749.48 amid weak performances in materials, financials and consumer staples companies. The index also dipped below its 50-day moving average, a key technical level." Boeing's in the trade war crosshairs, as the NYT's Natalie Kitroeff notes: "Boeing, which sends 80 percent of its commercial planes abroad, calls itself the nation’s biggest manufacturing exporter. So it is the company with the most at stake in a trade fight — especially in China, one of the fastest-growing aircraft markets." In late January the Atlanta Fed was calling for a 5.4 percent GDP gain. 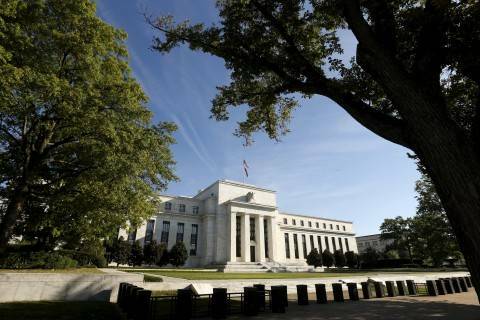 It released a reading Wednesday for its widely followed GDP tracker that slashed that projection all the way down to 1.9 percent. That came with similar reductions from J.P. Morgan and Goldman Sachs. — Elizabeth Holmes charged with fraud. WSJ's John Carreyrou: "Theranos Inc.’s 15-year odyssey to revolutionize the blood-testing business began with huge promise but has been engulfed by ignominy. Company founder Elizabeth Holmes, widely hailed as Silicon Valley’s first female billionaire startup founder, agreed to a settlement with federal securities regulators that strips her of voting control of Theranos, bans her from being an officer or director of any public company for 10 years and requires her to pay a $500,000 penalty. The deal was announced Wednesday by the Securities and Exchange Commission, which filed civil securities-fraud charges against Ms. Holmes, the company and a former Theranos president. Regulators alleged they raised more than $700 million from investors while deceiving them about the capabilities of the company’s technology. Ms. Holmes, 34 years old, and Theranos, which also settled the SEC’s charges, neither admitted nor denied wrongdoing." — Wells Fargo CEO pay jumps. Reuters: "Wells Fargo & Co Chief Executive Tim Sloan’s made $17.6 million in 2017, up 35 percent from the previous year, despite opting out of the bank’s annual incentive plan. The third-largest U.S. bank is looking to rebuild its reputation following a 2016 scandal that involved thousands of Wells Fargo employees opening perhaps millions of unauthorized customer accounts. Sloan, who said in January that the bank was not certain it had fully uncovered and fixed all problems related to the scandal, was among the top executives who did not receive cash bonuses for 2016." — Ex-Equifax exec charged with insider trading. NYT's Stacy Cowley: "A former top Equifax executive was charged on Wednesday with insider trading for selling nearly $1 million in company stock after he learned about a major data breach in 2017 but before it was publicly announced. Jun Ying, the former chief information officer of Equifax’s core United States consumer reporting division, exercised all of his vested stock options and sold nearly $1 million in shares a little more than a week before Equifax announced that hackers had broken into its systems, according to the Securities and Exchange Commission. The breach compromised sensitive information, including Social Security numbers, of more than 140 million Americans. 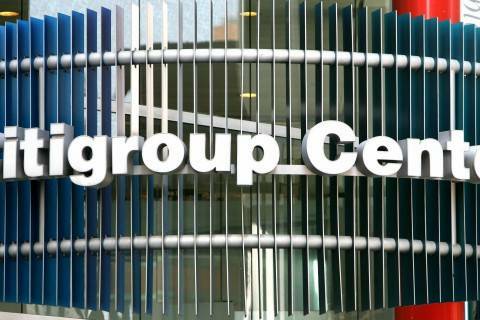 Mr. Ying avoided $117,000 in losses because of the timing of his sale, the S.E.C. said in a civil complaint." — Wall Street without Dimon and Blankfein. From Bloomberg Businessweek's new cover story: "[JPMorgan Chase CEO Jamie] Dimon and [Goldman Sachs CEO Lloyd] Blankfein had a good run. They began as chief executive officers within six months of each other in 2006, with the global mania in financial assets nearing its peak, and emerged from the crisis that soon followed with their reputations not just intact but burnished—at least among fellow Wall Streeters. Each weathered turbulence, from Goldman being labeled a vampire squid to trading blowups such as JPMorgan’s London Whale debacle, in which it lost $6.2 billion. One by one, they watched rival bankers fall to poor performance or scandal, from Bank of America Corp.’s Ken Lewis in 2009 to Wells Fargo & Co.’s John Stumpf in 2016, leaving them as the longest-tenured of big bank CEOs. Now, their succession planning tells you where their respective companies are headed and who can claim the title of Wall Street’s last man standing. Succession is a delicate topic." 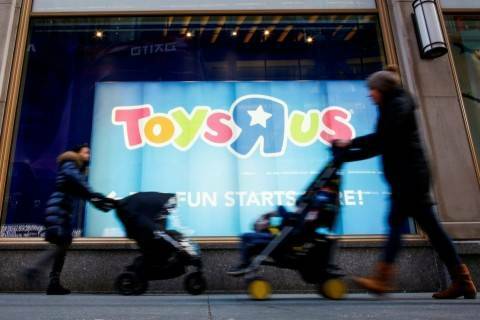 The retailer informed employees of plans on Wednesday. 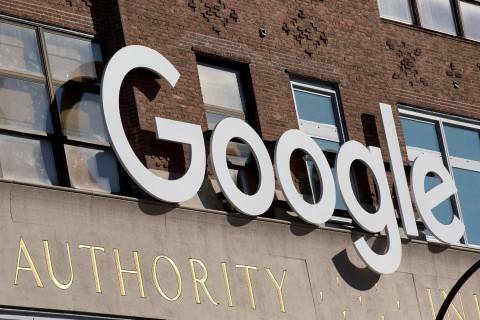 Google said that the new policy will come into effect in June on its own platforms and on third-party websites where it sells advertising space. The bank tells CNBC that while no customer data was compromised, it did lock several cardholder accounts as a precaution. And he’s Trump’s choice to advise him on exactly that subject. Transportation Secretary Elaine Chao testifies before the House Appropriations Subcommittee on Transportation, Housing and Urban Development, and Related Agencies. Politico Playbook co-authors will interview Bill Gates live. The Brookings Institution holds an event about creating more efficient infrastructure on Friday. The Heritage Foundation holds an event on the national security implications of a NAFTA withdrawal on Friday. Sen. Dianne Feinstein (D-Calif.) said at a hearing on the Parkland school shooting that "we must act. We cannot continue to sit in this room and other rooms, week after week, and simply do nothing:"